Lausanne: Fifa president Gianni Infantino's plan to expand the World Cup faces a key test from Thursday at a meeting of world football's top executives. Infantino wants to expand the tournament to 48 teams, a contentious move that critics say would dilute the quality of World Cup competition and add new fixtures to football's already packed calendar. 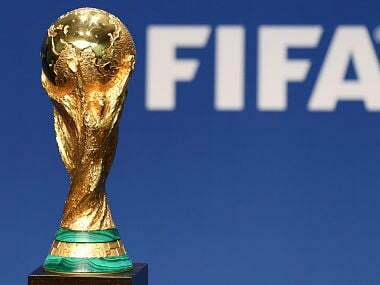 "It is not a secret that I believe in an expansion of the World Cup," Infantino told AFP last week, opting for a 48-team competition by 2026. Infantino has floated a proposal that would see the 16 winners of group qualifying rounds automatically book a place in the showcase tournament. 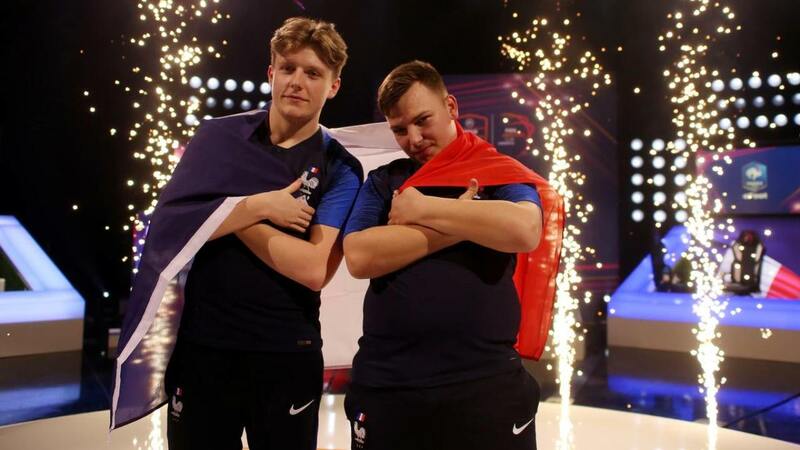 An additional 32 teams would battle it out in a new pre-tournament play-in round, with 16 nations moving on to the World Cup. 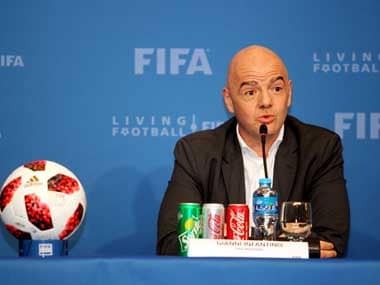 Infantino told AFP that for the World Cup proper "the ideal format is 32 teams", but that would not stop him from seeking to widen opportunities for more countries while boosting revenues from the cash cow tournament. The powerful 36-member Fifa Council will weigh the idea at the meeting on Thursday and Friday but a final decision will not be made until next year, Infantino said. It has been nearly eight-months since the Swiss-Italian national was elected to take over world football's governing body amid an unprecedented crisis. His tenure has faced its share of challenges: he has been the target of an ethics probe that ultimately cleared him any wrongdoing, a former top executive blasted Infantino as an autocrat in his resignation letter, while prosecutors in the US and Switzerland continue to probe decades of Fifa graft. But Infantino has insisted he remains focused on reforming an organisation that had become globally disgraced under the leadership of ex-president Sepp Blatter. 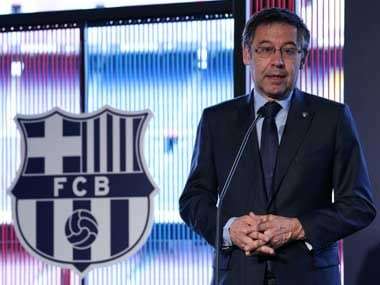 The 46-year-old lawyer and former Uefa number two has made growing football globally and increasing Fifa income top priorities of his administration. Broadening the World Cup could further both objectives. A marketing executive who worked with Infantino at Uefa and requested anonymity told AFP the Fifa chief may be pushing for a 48-team tournament as leverage but would settle for a 40-team format. The 40-team idea was studied last year by Fifa's executive committee -- since renamed the Fifa Council -- but no decision was reached. A Fifa Council member, also speaking anonymously, said broadcasters who pay hugely lucrative rights fees would likely have the final say on any changes to the World Cup format. Palestinians children marched on an Israeli settlement this week chanting "Infantino let us play", in a clear reminder of another tough challenge facing the Fifa leader. The Palestine Football Association has written to Infantino calling on Fifa to demand the expel the clubs based on Jewish settlements in the occupied West Bank, which are considered illegal under international law. Infantino told AFP last week that the issue was "one of (his) highest priorities." The Council meeting will hear a report on the Israel Palestinian issue from the head of Fifa's monitoring mission to the area, South Africa's Tokyo Sexwale. Israeli's thorny relations with the Muslim world also feature in another issue facing the Fifa Council: the venue for the body's next Congress. Kuala Lumpur had been slated to host the May 2017 Congress but the government of Muslim-majority Malaysia has refused to give entry visas to Israeli football officials, a stance that bars the country from hosting. Infantino is scheduled to meet with the media after the Council wraps up on Friday.